Made exclusively for the Cowan & McKay of Oxford Street, Glasgow, these three tins and the pail all contained various sizes of toffees. 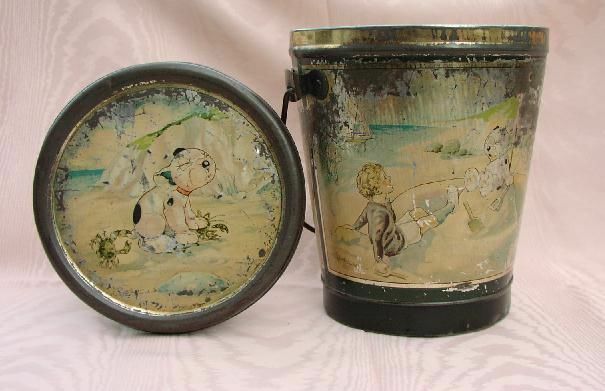 The lithographic printing on the pail was of a particularly high standard of such an ephemeral item. 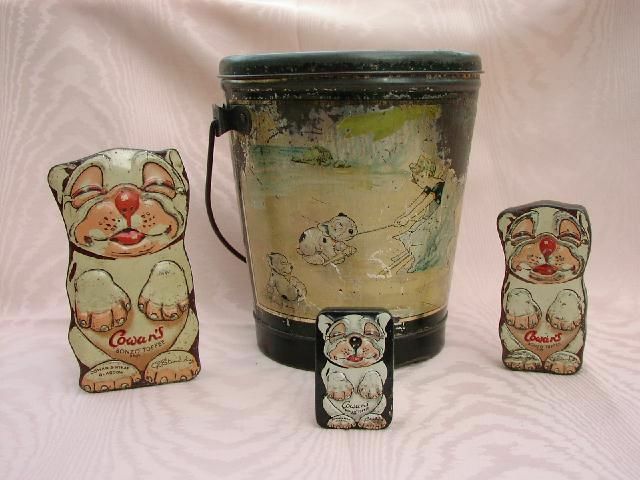 The pails were 8 ½ inches by 7 ½ inches, & could be bought containing either "Bonzo" toffee (4lbs), "Bonzo" assorted candies (4lbs), or "Bonzo" assorted caramels (7lbs). The cost of each is unknown, but the empty pails could be bought for 1 shilling each in 1925. The tins came in three sizes; 2 ¾ , 4 ½ & 6 inches. 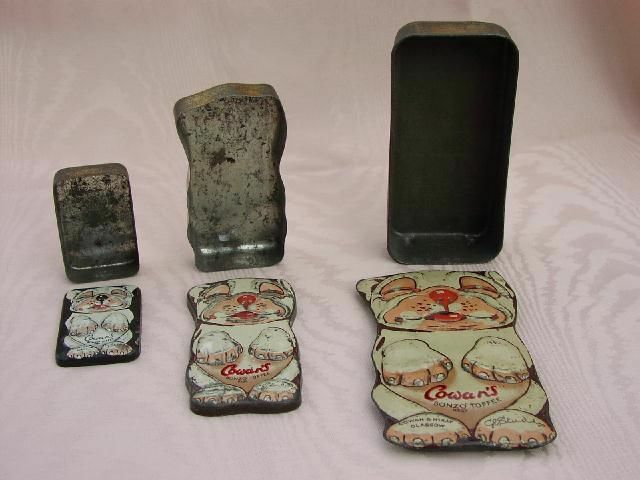 The small tin was a simple rectangular box, with some of Bonzos features slightly raised. The middle tin was shaped to fit Bonzos outline, with his features raised. The large tin was rectangular, but the lid is a double sandwiched piece which has a rectangular lip to fit the base & a shaped top to match Bonzos outline & again has raised features. 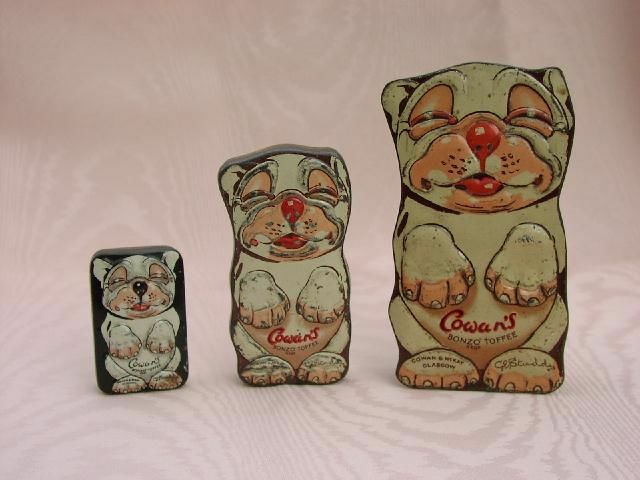 All sizes also came in two varieties, with Bonzo having either a black nose or a red nose.